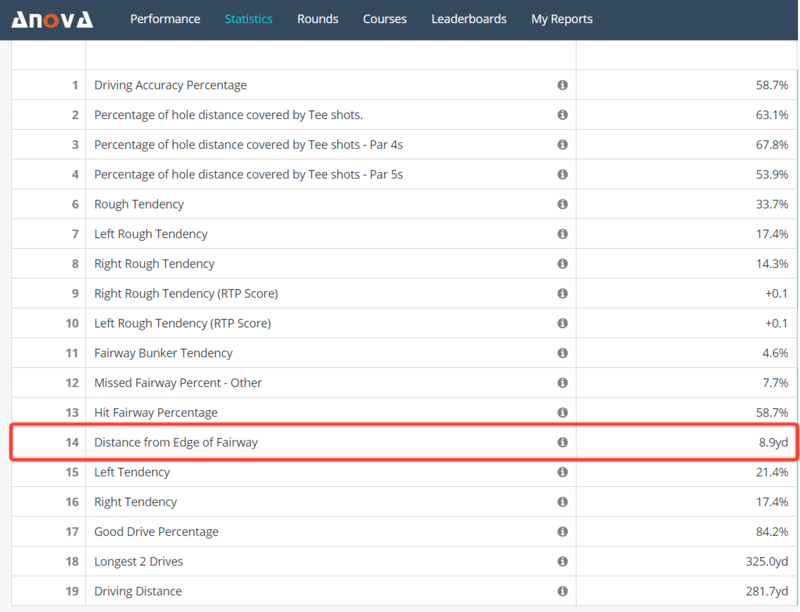 Today we are looking at the stat called ‘Distance from Edge of Fairway’. It is a really good secondary statistic which helps you understand how far from the edge of the fairway you typically hit your shots. If you normally play courses that are quite narrow, and the often just rolls out in the rough, then you will have a very small number here; if you tend to have big misses, then your number will be significantly greater. It is especially interesting to use this particular statistic in a smaller sample size, for example with a college team or with a tournament. Then you can really see how the players navigated themselves around the course in similar conditions.